Certainly, one of the best folk metal albums of the year. I know! Sometimes I tend to post a lot of Death metal and Black metal reviews, more than any other genre, it doesn't mean I don't appreciate other bands out of my favorites genres, such as Korpiklaani and their contagious Folk metal full of melodies. I can't imagine a single one of those big Summer festivals without any folk metal band added to their billboard. 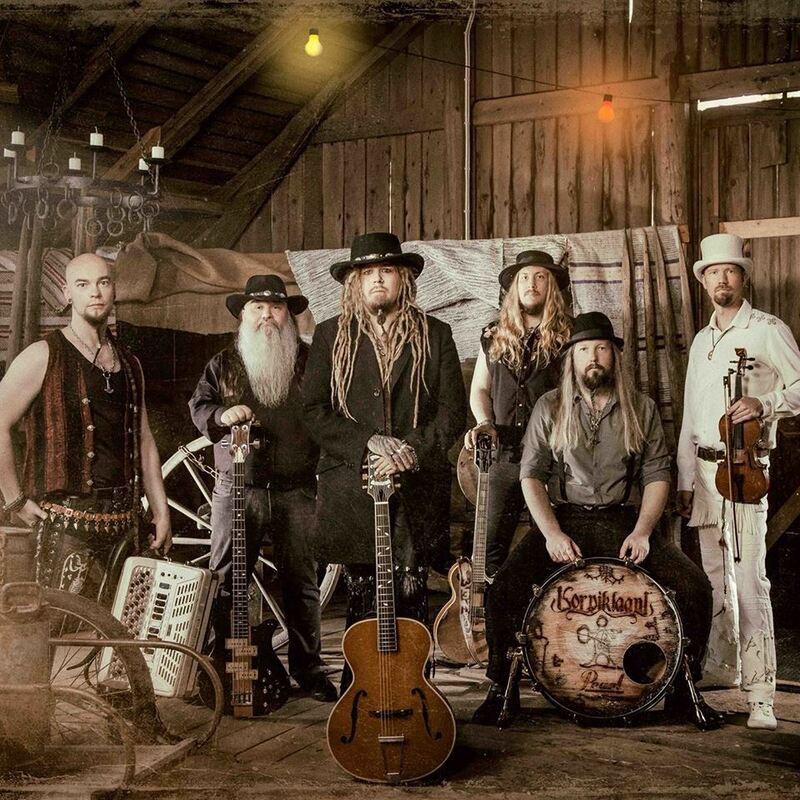 Well, I know lots of us we don't speak Finnish at all, however that inconvenience doesn't prevent us to enjoy and understand the music language, Korpiklaani are really good at that and they exploit it perfectly. Their abilities at songwriting transmits the right feelings, so let's crack the ice and get ready for what's coming up. 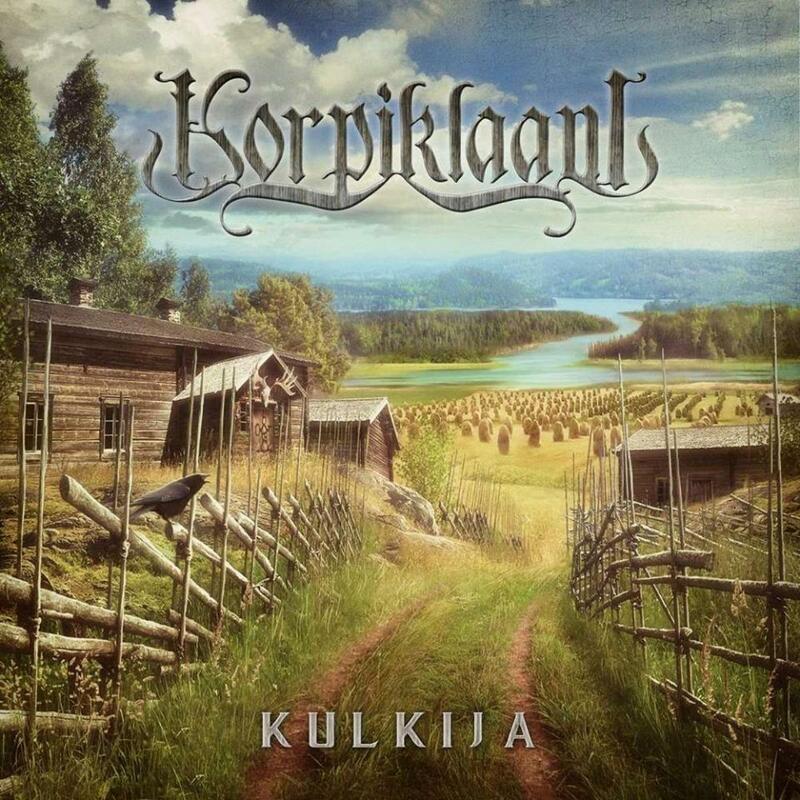 Korpiklaani brings us this time "Kulkija" which could be interpreted as (“Wayfarer”), it’s their most complete and longest work they had ever put out together, it contains fourteen ambitious tracks with their purest folk style that they only could create. The Finnish band seems venturous with their seventy-one minutes of production, but believe me, at the end it’s worth every single minute. The opener track "Neito” (Maiden) is a wonderful folkish piece that connects your mind right away with Fintroll and undoubtedly you know what soil you are stepping on. In "Harmaja," its songwriting brings up a somber feeling putting aside the metal aspects to create a sorrowful ambience, another track to highlight is "Sillanrakentaja" (The Bridge Builder) which is play in a semi-slow pace with a darker and memorable riff that keeps you engaged to deliver you a stunning end, exceptionally adding a darker layer with those eerie children's voices. "Henkselipoika" (Suspender Boy) takes you back into the usual Korpiklaani sound, a very well balanced track between Folk and Metal elements, followed by the instrumental "Pellervoinen" that works as an interlude, "Kuin korpi nukkuva" (As the Wilderness Sleep) is powered by some groovy riffs while the violin and accordion intertwine and the unexpected Tango style that ends this track is unique, "Juomamaa" is very versatile with punching riffs that are very joyful due to the fast pace and complex musical arrangement. The closing track is "Tuttu on tie" (The Road is Familiar) which reflects a gloomy vibe that’s heartbreaking, the vocals carry with them a deep feeling of regret and perpetual pain. I could keep talking about this album for a while, and most likely I wouldn't run out of adjectives to qualify this epic production; but I'm sure I will conclude with the same opinion, this is a great album, despite my personal likes and being objective, "Kulkija" easily has taken a spot to contend as one of the best Folk metal albums of the year.